Apple’s timely launch of iPhone 5 on 21 Sep 2012 coincides with my wife’s birthday, making the iPhone 5 the perfect birthday gift for this year. And it all boils down to extremely good timing. This blog tells it all. Pre-order for Apple iPhone 5 officially opens from 3pm Singapore time, according to reports. I went in to the Apple store, and after several webpage refreshes, managed to see the iPhone 5 order page at about 3.20pm. But when I tried to click the phone model and size I wanted, it showed “Unavailable”. Dejected, I left the page. 6.30pm, after I returned from a meeting to my work desk, I reloaded the Apple store page, and VOILA! The iPhone 5 became available for order! I added to shopping cart excitedly. Then came the tricky part. 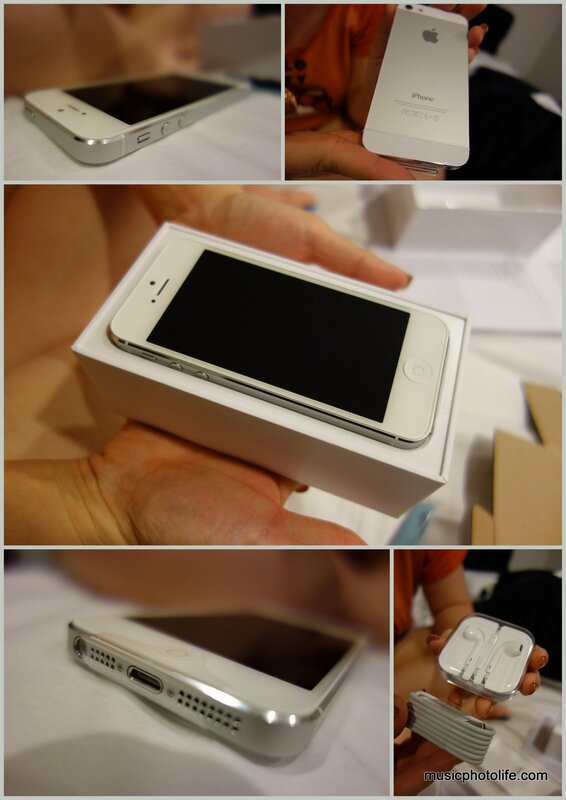 The order page said it would deliver on 21 Sep, the day of iPhone 5 launch itself. On normal days, I could arrange to have it delivered to my mum-in-law who would be at home. Problem is, I have planned for a family outing to Universal Studios Singapore and none of us would be at home to receive the delivery. And since I would be on leave, I also couldn’t arrange to deliver to my office. I pondered on the checkout page for a long while, and decided to take the chance and put my mum-in-law’s address. I thought, if the courier guy came and no one answered, I could arrange another time on the following day, though the risk was that I would not be able to present the gift to her on or before her birthday. Wifey complained that her current iPhone 4S was having problems with Internet connectivity, unable to Whatsapp and what-nots. Voice and SMS appeared to work fine. This occurred at several locations. Perfect timing, I thought. Once she gets her new phone, I could fix the phone, first with a firmware reset, then if problem still persists, then I could send for servicing without disrupting her phone usage. iPhone 5 launches worldwide while the family enjoyed a day at Universal Studios Sentosa. In the morning, I texted my dad-in-law telling him I would be expecting a delivery for my wife, his daughter’s, birthday gift. He replied he would be home after 4pm. Then sometime around 4pm, I received a call. It was the courier guy. He told me he would like to deliver a parcel, and I told him to go ahead, because someone would be home. Yippee!!! But we both knew it was. So after we went home, showered and washed up. Not waiting for midnight, she calmly sat down on the bed, unboxed the gift. One of the 8 million first-day owners of an iPhone 5. First impression: it really looks and feels like an iPhone 4S. Hopefully the improved interface and hardware delivers a new usage experience for wifey. Well, she can’t use the phone yet, no thanks to Apple’s new NanoSIM design. So I would have to go to my telco to get a new SIM card. Plus, I would have to get a casing, stick on protective screen. And now that the connector is brand new, I would have to find another spare cable so that she can charge at office and home without lugging the cable around. Thanks, Apple, for helping me to celebrate my wife’s birthday. iPhone 5 brand New, Scratch Marks.